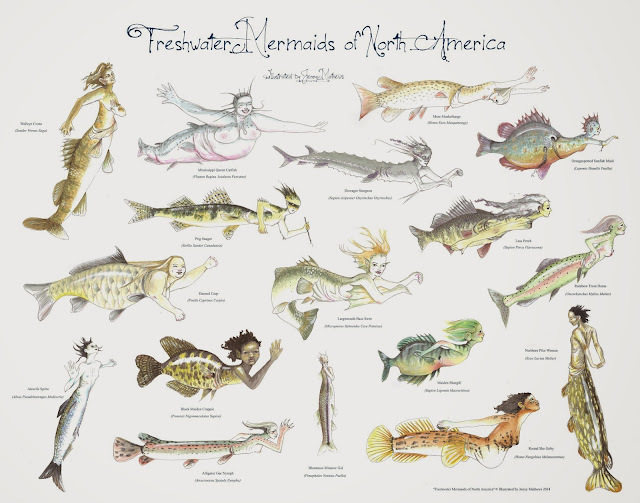 This 22X28 poster is a field guide to all the freshwater mermaids that reside in the waters of North America. It was drawn by renowned illustrator Jenny Mathews of Rockford Illustrating. The perfect gift for the fisherperson or mermaid in your life.